Converting a Squier Mini to a Mini Telecaster. Take one of those inexpensive short scale Squiers and turn it into something unique and fun. Get the plans here. Another 3/4 size Fender classic made from a Squier Mini Stratocaster. Get the plans here. 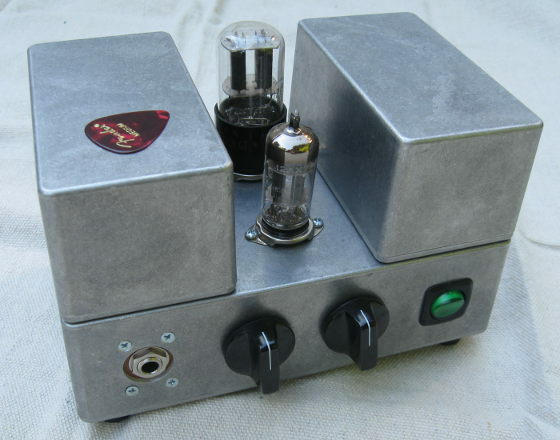 A sweet minimalist single ended class A practice tube amplifier for guitar or harp. Modifying a Thrift Store Find into a 15W Guitar Tube Amp with loads of potential. Utility meets HiFi in a modest package. Plans now available.